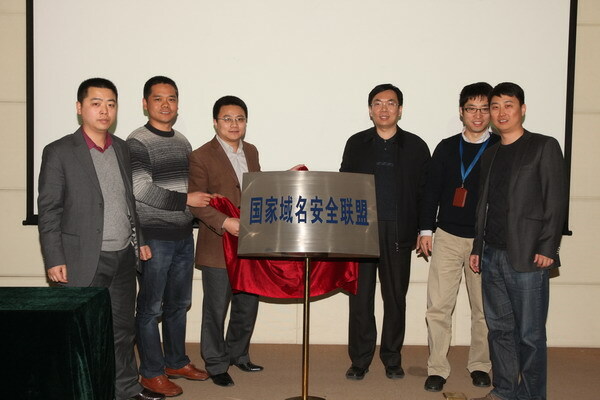 On March 27, 2012, National Domain Name Security Alliance (hereinafter Alliance) was founded in Beijing with CNNIC as the originator and Bureau of Communications Security of Ministry of Industry and Information Technology as the steering entity. 28 domestic registries and registrars became the first members of the Alliance. The Alliance will integrate the whole chain of domain name industry to form a joint-action mechanism of prevention in advance and emergency response afterwards for the security of domain name resolution, substantially improving the security of national domain names. CNNIC assumes the role of Secretariat of the Alliance. On the inauguration ceremony, the Secretariat provided DNS anti-attack devices for the first batch of Alliance members. Domain name system constitutes significant infrastructure of Internet and the security and stableness thereof exert direct impacts on the security and stableness of Internet. According to the monitoring data from CNNIC, 57% of our DNS service is in a hazardous condition with large scales of frequent external domain name attacks and this poses grave threats to the stableness and health of domain name system. Security risk of domain names is mainly attributed to the hugeness of domain name system and diversified techniques of attacks against domain name. With the launching of Internet of Things, Tri-networks integration and new gTLDs, the scale of domain names has enlarged further, resulting in more challenges for the security of domain name. 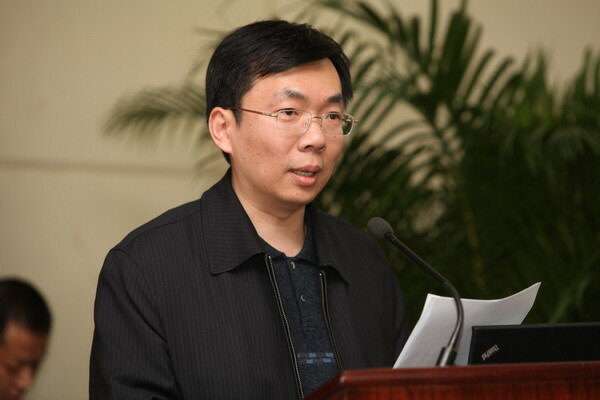 FU Jing-guang, Deputy Director of Internet Security Administration Department of the Bureau of Communications Security of MIIT, pointed out on the inauguration ceremony that domain name system is a complex system that can not be completed by any single entity, and it necessitates the concerted efforts of the whole domain name system. The Secretariat of the Alliance presented the Alliance Charter. According to the Charter, the following three main tasks will be fulfilled in the future: in terms of domain name operation, to facilitate sharing information such as the analytical data of domain name system security & operation, early warning information of domain name system security, and security development in the industry, and to provide members of the Alliance with services of system operation analysis and security supervision so as to improve their capacity of preventing and detecting security incidents of system; in terms of domain name application, to conduct inspection on the application of domain names and to enable members of the Alliance to be more familiar with the overall application of domain names; in terms of emergency response, to establish domain name security emergency coordination and disposal mechanism in the Alliance and to stimulate the construction of emergency response platform so as to provide members of the Alliance with emergency support and backup service for domain name system. Besides, to provide members of the Alliance with consultation regarding domain name security so as to upgrade the construction, operation, and protection of their domain name systems. National Domain Name Security Alliance pioneered in establishing a joint security protection mechanism for .CN and .China (.中国) which aims at improving communication & cooperation concerning domain name security among members of the Alliance, sharing information regarding domain name security, and organizing members of the Alliance in preventing, detecting and disposing security incidents in an effort to enhance the security of domain name. FU Jing-guang, deputy director of the Internet Security Department of the Bureau of Communications Security of MIIT delivered a speech.